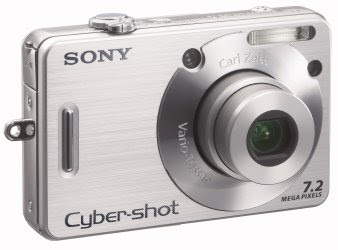 Our semi-trusty little digital camera finally bit the dust. I'm not particularly mourning the loss of the 3.1 megapixel battery muncher, but I'd never buy a new camera until this one met it's demise. Which it finally has. So, Moxie's in the market. I'd like some advice. But, I've always liked my brother in law's Olympus that I used last weekend. My only real stipulations are 6 or better megapixels, a video function, and it has to be easy to use. I don't need anything fancy, just reliable and doesn't drain batteries after a few pictures. And, I don't want anything over $175. So, any thoughts on your own cameras would be nice. I have Canon but mostly use smaller Panasonic. Kodaks are not considered great and "easyshare" is BS. Sony uses memory stick vs. cheaper memory cards. If you want, email me, I'll send you some Consumer reports recommendations. I just had to buy a camera this past week as well. I HAD a 3 yr old Koday EasyShare and loved it (so I'm disagreeing with the first commenter, sorry). I purchased a higher priced Sony because I wanted the 10x Zoom feature (and there were few options at the store that had that feature). Regarding the memory stick, I agree with commenter #1 - Sony devices ONLY use Sony sticks and are not (readily) compatible with your PC or the photo kiosk at the stores (you'll need an adapter to use it there, which of course you'll always forget to bring if you're like me). So, from experience, I'd recommend the Kodak, but I REALLY REALLY love the Sony I just got (but it was $299, and more expensive than you were hoping for). Moxie, I live and die by my Canon. The memory card point is a plus as mentioned before. I have an SD870 model because I like a wide angle lens (which is a little rare to find on a point and shoot) and the display is HUGE. 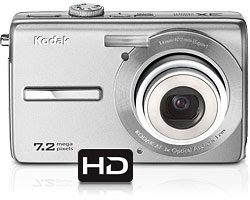 There is a comparable SD750 without the wide angle I almost bought for a less. It is right at $175 at walmart.com. Other features I love are the automatic settings for night shots, the macro setting for taking up close pictures of small things, the spot color b/w feature, etc etc etc. I could pimp it for hours. I have taken a ton of pics that I post online-email me if you want more info...:o) Happy shopping! I dig the Canons quite a bit, and a camera like the SD1100: http://www.circuitcity.com/ccd/productDetail.do?oid=205809&om_keycode=67 is really quite excellent. I occasionally teach a digital photography class at conferences and I always recommend Canons to people in the market. Thanks, guys for the imput. I'll keep you updated on the process of picking something. I am sorry to nag here but did you by iny chance get my emails because it seems like nobody does.